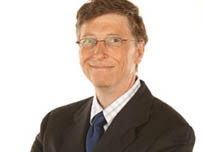 “We certainly had to apologize to our users about a number of boxes that had to be replaced,” Gates conceded during a recent interview with the BBC. Now he's looking ahead to better hardware reliability. Last year, that “number” of faulty Xbox 360 units resulted in charges of over $1 billion for Microsoft, which stemmed from costs associated with repairing defective consoles free of charge for consumers. But now Gates has reiterated Microsoft’s claims that new hardware revisions have upped console reliability. Microsoft’s other major gaming platform is Windows Vista, an operating system that has garnered the ire of some gamers because of performance issues. When asked if Microsoft would release a no-frills operating system that “just plays PC games and a few basics,” Gates simply commented on Vista’s commercial success and assured that the company is always open to consumer feedback. “People are very passionate about their PC. They use it more than anything else,” he said. Vista Service Pack 1 is expected to release in the coming months.